I did have a post set up last week, but unfortunately due to a unforeseen relapse and rapid decline in my M/E, I slept through the week. My original post was about Happy international women’s day, but I’ve decided to the Women’s History Month to celebrate the whole month of women as it shouldn’t just be celebrated on just one day, you should always celebrate women. Joan of Arc, nicknamed “The Maid of Orleans,” was born in 1412 in Domrémy, Bar, France. A national heroine of France, at age 18 she led the French army to victory over the English at Orleans. Captured a year later, Joan was burned at the stake as a heretic by the English and their French collaborators. She was canonized as a Roman Catholic saint more than 500 years later, on May 16, 1920. At the time of Joan of Arc’s birth, France was embroiled in a long-running war with England known as the Hundred Years’ War; the dispute began over who would be the heir to the French throne. By the early 15th century, northern France was a lawless frontier of marauding armies. 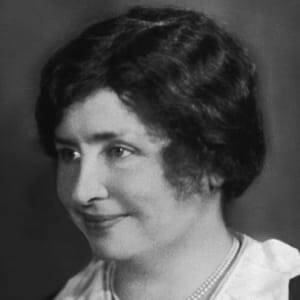 American educator Helen Keller overcame the adversity of being blind and deaf to become one of the 20th century’s leading humanitarians, as well as co-founder of the ACLU. Helen Adams Keller was born on June 27, 1880 in Tuscumbia, Alabama. In 1882, she was stricken by an illness that left her blind and deaf. Beginning in 1887, Keller’s teacher, Anne Sullivan, helped her make tremendous progress with her ability to communicate, and Keller went on to college, graduating in 1904. In 1920, Keller helped found the ACLU. During her lifetime, she received many honors in recognition of her accomplishments. Keller suffered a series of strokes in 1961, and spent the remaining years of her life at her home in Connecticut. During her lifetime, she received many honors in recognition of her accomplishments, including the Theodore Roosevelt Distinguished Service Medal in 1936, the Presidential Medal of Freedom in 1964, and election to the Women’s Hall of Fame in 1965. She also received honorary doctoral degrees from Temple University and Harvard University and from the universities of Glasgow, Scotland; Berlin, Germany; Delhi, India; and Witwatersrand in Johannesburg, South Africa. Additionally, she was named an Honorary Fellow of the Educational Institute of Scotland. Rosa Parks was a civil rights activist who refused to surrender her seat to a white passenger on a segregated bus in Montgomery, Alabama. Her defiance sparked the Montgomery Bus Boycott; its success launched nationwide efforts to end racial segregation of public facilities. As a leader of the civil rights movement, Rosa Parks received many accolades during her lifetime, including the NAACP’s highest award. 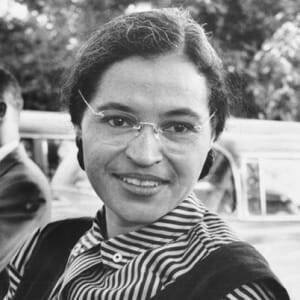 Rosa Parks was born Rosa Louise McCauley on February 4, 1913, in Tuskegee, Alabama. After her parents, James and Leona McCauley, separated when Rosa was two, Rosa’s mother moved the family to Pine Level, Alabama, to live with her parents, Rose and Sylvester Edwards. On December 1, 1955, after a long day’s work at a Montgomery department store, where she worked as a seamstress, Rosa Parks boarded the Cleveland Avenue bus for home. She took a seat in the first of several rows designated for “colored” passengers. The Montgomery City Code required that all public transportation be segregated and that bus drivers had the “powers of a police officer of the city while in actual charge of any bus for the purposes of carrying out the provisions” of the code. While operating a bus, drivers were required to provide separate but equal accommodations for white and black passengers by assigning seats. This was accomplished with a line roughly in the middle of the bus separating white passengers in the front of the bus and African-American passengers in the back. When an African-American passenger boarded the bus, they had to get on at the front to pay their fare and then get off and re-board the bus at the back door. She is best known as the first foreign photographer permitted to take pictures of Soviet industry under the Soviet‘s five-year plan, the first American female war photojournalist, and having one of her photographs (the construction of Fort Peck Dam) on the cover of the first issue of Life magazine She died of Parkinson’s disease about eighteen years after developing symptoms. Amelia Earhart may be best-known for her numerous aviation records, but it is Amelia’s legacy of unfaltering determination and her can-do attitude for equal treatment of women that lives on. 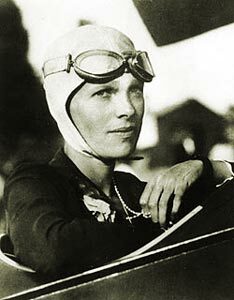 Amelia Earhart was born in Atchison, Kansas on July 24, 1897. Amelia saw her first plane at a state fair when she was 10 years old. During World War I, Amelia became a nurse’s aid in Toronto, Canada, to tend to wounded soldiers. On December 28, 1920, pilot Frank Hawks gave Amelia her first ride in an airplane. Amelia took her first flying lesson on January 3, 1921. Amelia’s first plane was a bright yellow Kinner Airster that she nicknamed, “The Canary”. While living in Boston, Amelia wrote articles promoting flying in the local newspaper. In 1932, Amelia developed flying clothes for the Ninety-Nines that were advertised in Vogue. Although she referred to herself as “AE”, Amelia became known as “Lady Lindy” after her first flight across the Atlantic. During her 2,408-mile flight to become the first person to fly solo across the Pacific, Amelia enjoyed a cup of hot chocolate. Next ›Mother’s Day Gift Ideas!